Malaysia's national oil company Petroliam Nasional Berhad (PETRONAS) announced that the PETRONAS Floating LNG1 (PFLNG1) facility is on track to commence operations in 2016. "The PFLNG1 has reached a 95 percent overall progress in its construction and will come on stream in 2016. All project updates of the PFLNG1 will be officially announced by PETRONAS in due course," the company said in a press release last week. 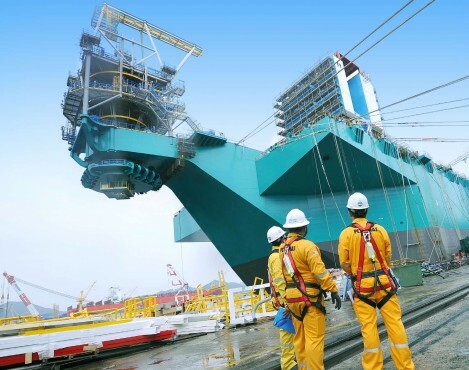 PETRONAS' first Floating Liquefied Natural Gas (FLNG) facility will be deployed at the Kanowit field, located 124 miles (200 kilometers) offshore Bintulu, Sarawak, East Malaysia, at a water depth of approximately 262 feet (80 meters). The PFLNG1 vessel, which will produce 1.2 million tons of LNG per year, will play a significant role in PETRONAS’ efforts to unlock gas reserves in Malaysia's remote and stranded fields to help meet the growing demand for gas.